I repaired an old but still serviceable pair of jeans today. The button had pulled out of the waistband and left a hole where the button should be. 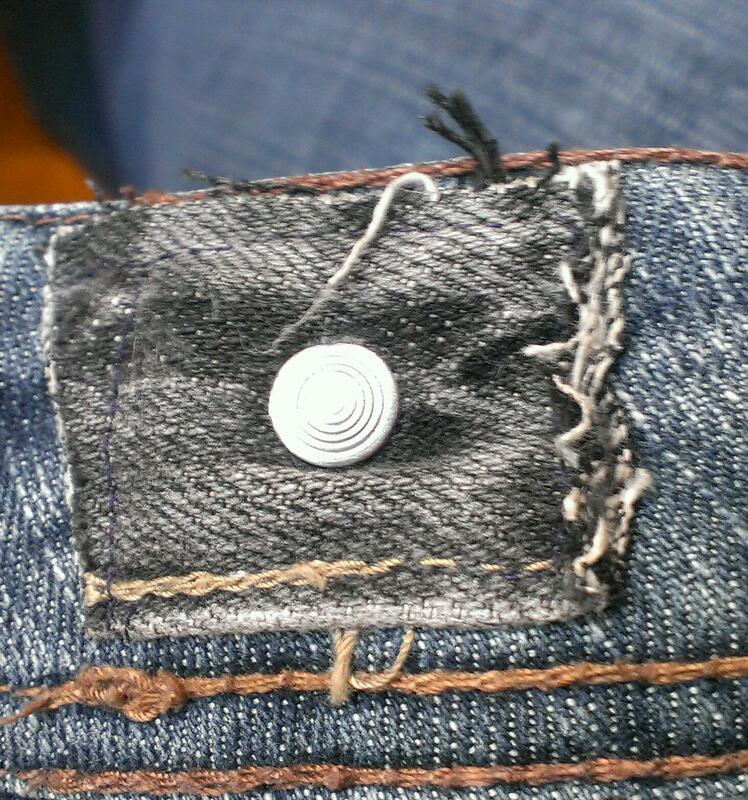 One can’t just sew the old button back on (even if it could be found) because jeans buttons attach with a rivet. I know you can buy a new riveted button that can replace the missing one, but it needs to go next to the old hole since it will just pull out immediately if attached in the same spot and then won’t line up with the zipper. Alternatively you can reinforce the waistband with a double layer of denim behind where the missing button should be before riveting a new one on. 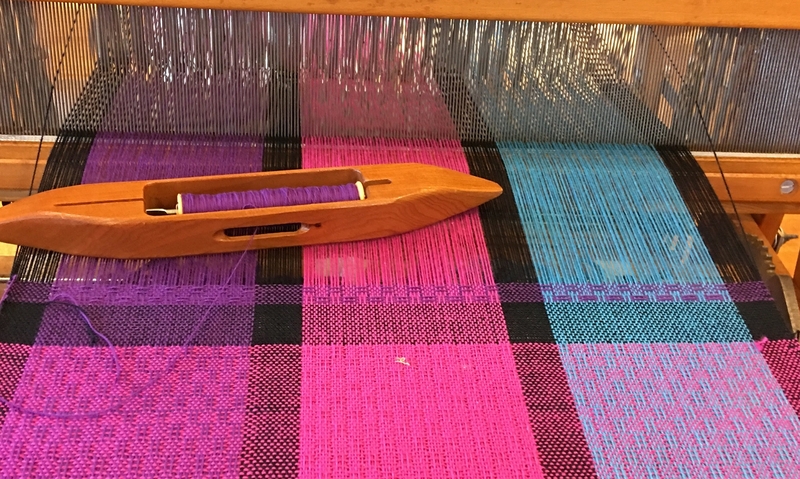 Instead, I cut a square of fabric including the button out of a worn out pair of jeans that I am saving to weave a rag rug. I had to slightly enlarge the hole that was on the jeans I was fixing, pushed the button through the hole and sewed the square of fabric onto the good pair. Reinforcing and replacing at the same time! Shown is the back side after I sewed it on my sewing machine. The square of fabric making the repair has to be big enough to sew around the button with the presser foot on (button side up of course). I can wear my jeans again!